FACTORY CERTIFIED AND INSPECTED AND PROTECTED WITH 7 YEAR/100,000 MILE WARRANTY - 1 OWNER TRADE IN FROM FARMINGTON, MN - EXCELLENT CONDITION AND PURCHASED AT WASECA CHRYSLER CENTER NEW!!! 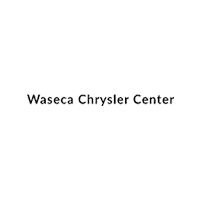 3.6L V6 ENGINE, RWD, HEATED LEATHER SEATS, BACK UP CAMERA, 8.4 TOUCHSCREEN RADIO, AM/FM/SIRIUS SATELLITE RADIO/BLUETOOTH COMPATIBLE, POWER WINDOWS/LOCKS, SPEED CONTROL, AC, ALLOY WHEELS, PLUS MUCH MORE............PRICE INCLUDES $1000 FINANCE REBATE - MUST FINANCE WITH WASECA CHRYSLER TO QUALIFY!! !